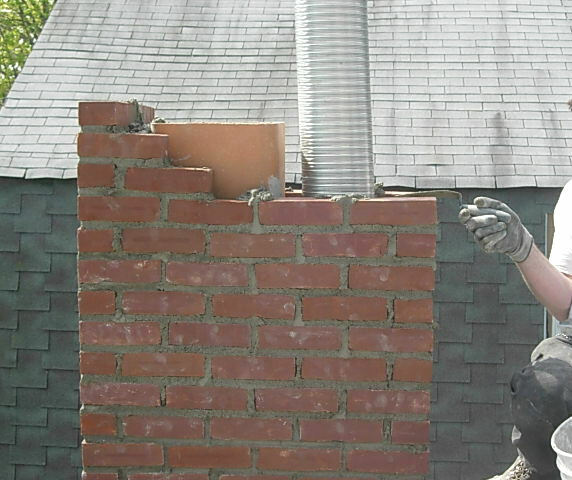 A chimney repair and maintenance program is recommended annually for New York homeowners to ensure your chimney is in good condition and operating normally. Climates like the Northeast, especially in New York experience varying weather conditions and temperatures year round, which greatly affects a chimney's condition. Natural factors like storms, freeze and thaw cycles, and heat exposure contribute to the deterioration of a chimney and eventually cracks start forming in the cement, bricks, and mortar. Call Chimney Repair NY 1-877-952-7425 for service or submit a Free Chimney Repair Quote because we can help fix your chimney problems to avoid costly major repairs from taking you by surprise. We perform chimney repairs for residential homes, apartment buildings, homeowners associations (HOA), brownstones, and commercial buildings. Owning a home is an important responsibility and having a regular chimney repair and maintenance program can extend the longevity of your chimney and prevent expensive repairs from happening. Keeping your chimney well maintained will also improve the efficiency of the heating system and eliminate hazards. Call Chimney Repair NY 1-877-952-7425 or request a Free Chimney Repairs Quote today for inspection with wood and coal stoves, fireplaces, chimneys, chimney connectors, and all other solid-fueled heating equipment in residential homes and commercial buildings. A well maintained chimney can make all the difference in the effective performance of a fireplace and ensuring the safety for you and your family. Using a certified chimney specialist like Chimney Repair NY 1-877-952-7425 will guarantee that your chimney repairs and maintenance are completed properly with caution and safety in mind. Our comprehensive chimney service and inspection ensures that we check every fundamental aspect of your chimney to ensure there are no defects left unfixed.